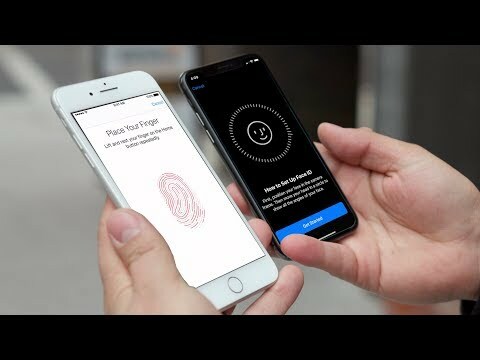 With the introduction of the iPhone X and Face ID, some are concerned that Apple's new biometric system is not as secure or easy to use as the legacy fingerprint-based Touch ID. AppleInsider digs deeper to explain why you shouldn't fear facing the future. YouTube is full of videos showing people tricking Face ID with elaborate masks, but logically, having your face captured and 3D printed is not a realistic concern for the overwhelming majority of iPhone X owners. As with Touch ID, all Face ID data stays on a unique chip inside your iPhone X called the Secure Enclave, so there's no way someone can hack your data from the cloud. Apple has admitted that twins might be able to fool Face ID, so you might need to take precautions in the unlikely event that you have an evil twin. Some AppleInsider viewers have also expressed concern that Face ID might work by putting sunglasses on someone who is sleeping. Those people simply do not understand how Face ID on the iPhone X works. The TrueDepth camera's infrared sensors penetrate sunglasses, so it can actually see if your eyes or open or closed, and detect where your eyes are looking -- even through mirrored sunglasses. This is beneficial for Face ID's attention awareness feature, which prevents the iPhone from unlocking until it detects that your eyes are looking at your phone. Unlike Face ID, where you're protected by the attention awareness feature, Touch ID has no such equivalent. If you have an older iPhone, someone can unlock your Touch ID-equipped device while you're asleep by placing your finger on the home button. If you're conscious, attention awareness will also prevent unauthorized access, as a user whose iPhone X has been stolen can just avert their eyes to prevent it from being unlocked. If you're not concerned about someone unlocking your iPhone X by holding it up to your face, you can turn the attention detection feature off in Settings. This will help speed up the process of unlocking with Face ID, at the cost of some security. Some have complained that Face ID is slower than Touch ID, but simple side-by-side comparisons don't tell the whole story. Touch ID only has one step for authentication -- scanning your fingerprint. Face ID, meanwhile, has to project infrared dots onto your face, scan those dots, and then authenticate against data stored in the Secure Enclave, a process that adds a small amount of time to the unlock procedure. But the way the iPhone X is implemented, namely as a hands-off security solution, means that Face ID can actually be faster in practice than Touch ID. It's also worth noting that every successful Face ID unlock makes the system better, as it learns your face in different scenarios and lighting. Over time, the speed of authentication should become faster. Face ID favors certain parts of your face when it's authenticating, mainly the eyes, nose, and mouth. We actually showed this off by using a small card to cover certain parts of a face, and we found out that when we blocked the mouth or nose, Face ID wouldn't authenticate at all. However, blocking only one eye still allowed Face ID to work. Once again, the limitations of Face ID are not that different from Touch ID. Imagine using a bit of tape to block a part of your fingerprint while using Touch ID. That's not going to work either. Face ID may not work in certain conditions like wearing a ski mask to cover your face in the cold, but again, it's no different than Touch ID, where gloves make it unusable. Touch ID, meanwhile, fails to work if your finger is wet or dirty. Sometimes, when outside in the wintertime, the weather prevents it from working. And if you have any lotions or oils on your fingers, it can also affect Touch ID readings. The system can also fail if you get a cut, or worse, on your finger. We have experienced Touch ID failing many times with dry fingers, or sweaty when leaving the gym, or if they are wrinkled from spending some time swimming. Even just having the sensor be a little bit dirty or smudged can affect Touch ID as well. Conversely, Face ID should actually work just fine for all of those situations, even if you have a cut or your face is dirty, or even if your face is a bit swollen. Now that it's fall, those wearing gloves who own an iPhone X will no longer be held back by Touch ID. Face ID will unlock just fine and users just need to swipe up on the screen. There are many compatible gloves that work fine with touchscreen displays. Just know that if you're wearing a scarf, you'll need to uncover most of your face for Face ID to work. Although there are many concerns about Face ID, the recently launched iPhone X is only the first implementation of the new technology. There's no doubt that it will continue to be improved in the future -- and not necessarily just with future hardware. Because Face ID is heavily reliant on software, Apple could actually improve performance with future firmware updates. I believe it. The question is, will that still be true 3-6 months from now. Considering that the SE, 6s, 7 & 8 currently (and may for a few years) sell using Touch ID, I don't know if "legacy" is the best term. Why do you wipe your iOS device frequently? Fast and easy. The sole time it failed was in strong full sidelight sun. Otherwise I simply swipe up even when it shows “locked” as that triggers a scan that then completes the unlock and very rapidly. I wear glasses, with or without them (say in bed when I just want to check something fast) with a hat or not: it just works. My experience is just the opposite... FaceID is much MORE reliable for me than TouchID was. What’s the difference in re-entering your fingerprint (I found it takes several minutes to do) and re-scanning your face? From the videos it seems to be fairly quick. I have found the same to be true - TouchID was problematic when hands were wet/moist, or when working in the garden with gloves. FaceID has worked flawlessly in those situations. There are a couple inconveniences that I've seen with regard to FaceID. The first is Apple's decision to require auto fill of username/passwords to occur only after FaceID verifies I am "me". Where, with TouchID phones, once past the lock screen the system doesn't require verification to be done again. Not a bad security measure, but does have some impact. The only other problem/inconvenience I've had with FaceID is when holding the phone in landscape orientation - I have had to rotate the phone back to a portrait orientation in order for FaceID to allow auto filling the fields. This only occurs on certain sites where that orientation is more useful, so not a big issue. I don't know if FaceID only works in portrait orientation, or I'm just "out of view" when the phone is oriented in landscape - haven't played around with it enough to see if moving the phone side to side would change things. Instead of entering your passcode you can press cancel and retry..
...and so could such an update be pushed in times of 'need'...? I'd like to see Apple add another biometric scan option to Face ID. Maybe, something that will sense skin temperature or pick up a heart rate. With Apple's lauded expertise with its watch's accuracy in detecting heart rates, this should be doable. It's not a feature everyone need activate all the time, but it could be something that you'd add for banking purposes or large purchases. Same for me, with TouchID I found myself entering my passcode quite frequently. With Face ID I still occasionally get the passcode prompt but not nearly as frequently AND I’ve also seen that Face ID will unlock for me while I’m entering my passcode. My only issue has been that Face ID doesn’t seem to work more often when I’m holding my iPhone too far away. And by that I mean less than 2 feet but greater than 1 foot. When I bring the phone closer and more directly in front of my face, problem solved. That doesn’t happen 100% of the time but enough so that I’ve noticed. FaceID works great. Much better than TouchID with my initial use. Understand that TouchID improved over time so I am comparing the last iteration of that tech with the new FaceID. In my use I found that when laying in bed with face partially on a pillow it did not work. Which isn't a big deal just have to raise head off pillow. That also isn't very frequent situation so not sure much to complain about. Other than that have not had a situation yet where it did not work. I have not been out in extreme sunlight situations yet so would have to validate some other conditions. But so far I likey. That is a 2-step process. Just hit Cancel and try FaceID again. loaded language. no, they didn’t admit to that, they stated it, at launch. Face ID is good. if you’re not looking at it when swiping up (which you may not if you’re not used to doing so) and you have attention-detection enabled, then it will fail auth and ask for passcode. just ignore and look at it again — face id auto runs another time right on the passcode screen, you don’t even have to tap Cancel. To what end? As opposed, say, to a phone without it that stores fingerprint or other biometric information directly on the SSD? Further, even if you were able to somehow gain access to the enclave, information stored there is encrypted and "one way", meaning that someone can't use it to recreate your face or fingerprint from the stored data.